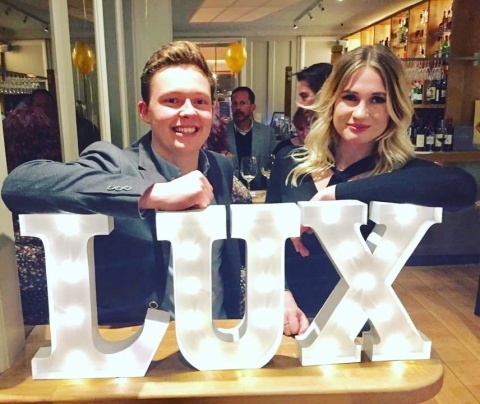 Bath SETsquared member, LUX Rewards, has launched its premium restaurant rewards app. Following a very successful, overfunded crowd funding round on the award winning Crowdcube platform, founder James Courtney raised £80k with the support of over 130 investors and began to build the venture from the ground up in Bath. The Bath-based start-up launched the app in February with an exclusive event held in the city centre. It was a highly successful event, attended by over 100 delegate including local press and bloggers, investors, business owners, LUX supporters and, of course, local restaurateurs. The app now has 500 users in Bath and also 15 restaurants on board. Founder James identified that the restaurant promotion market was highly saturated with discount-focused cards, apps and websites that primarily feature informal chain restaurants. He wanted to find a way to help local independent restaurants attract and retain high-spending loyal customers. LUX is the premium alternative to other discount cards, providing customers with a free mobile app that enables them to find LUX approved restaurants and collect reward points for dining there. LUX also enables the diner to donate their accumulated points to a local charity of their choice. The model works by giving back the power to the restaurant and enabling them to utilise spare capacity in their restaurants with a flexible commission structure that they control to drive extra traffic into their establishment when they want it. LUX prides itself in distancing itself from all the current ‘restaurant discount cards’ currently on the market by remaining focused on helping, not hindering, the local restaurant scene. LUX is the brain child of James Courtney, who founded the company at the age of 21, whilst in his final year study Business at the University of Bath. He is the only student ever to win the Bath Business competition two years in succession. When asked about this achievement, James admitted that “winning for a second year running was very special”, adding that it was now enabling him, with much excitement, to see his business become “a reality”. Winning the competition helped James to develop his business model, provided him with investors and also gave him the confidence to advance with the idea.